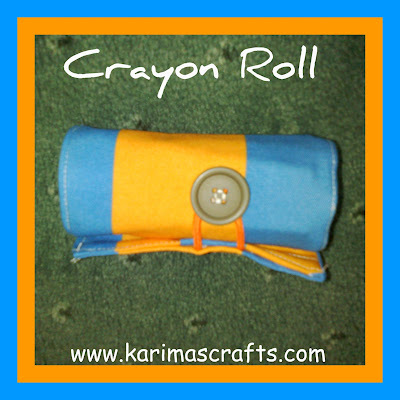 I made my first crayon roll (see photograph above). I have seen these on many blogs and have always wanted to have a go at making one. 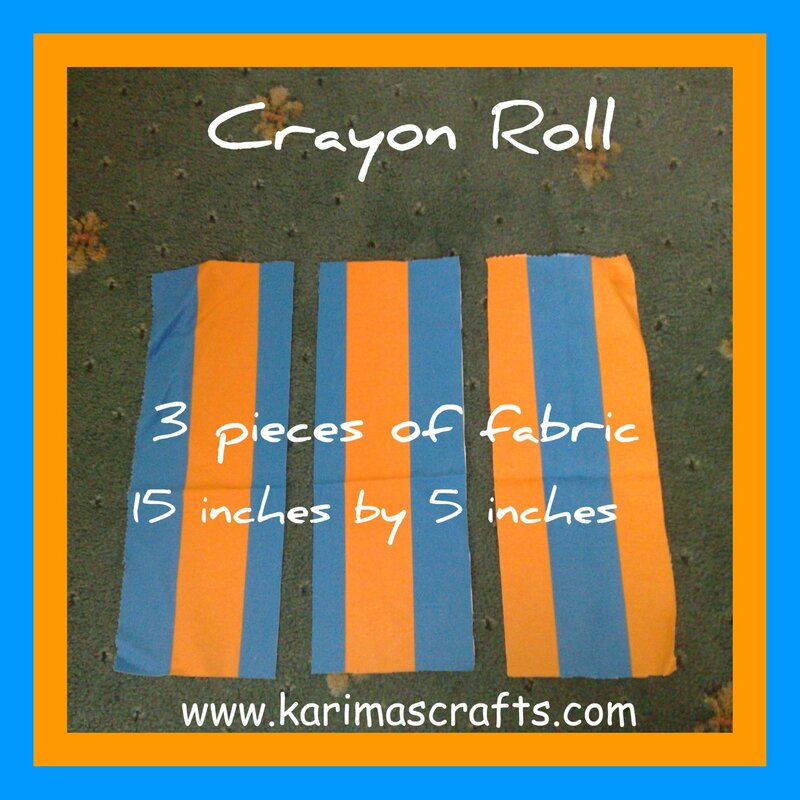 So yesterday I found some spare scrap bright fabric which I thought would be great for this project. Below are the instructions for how I made this crayon roll. 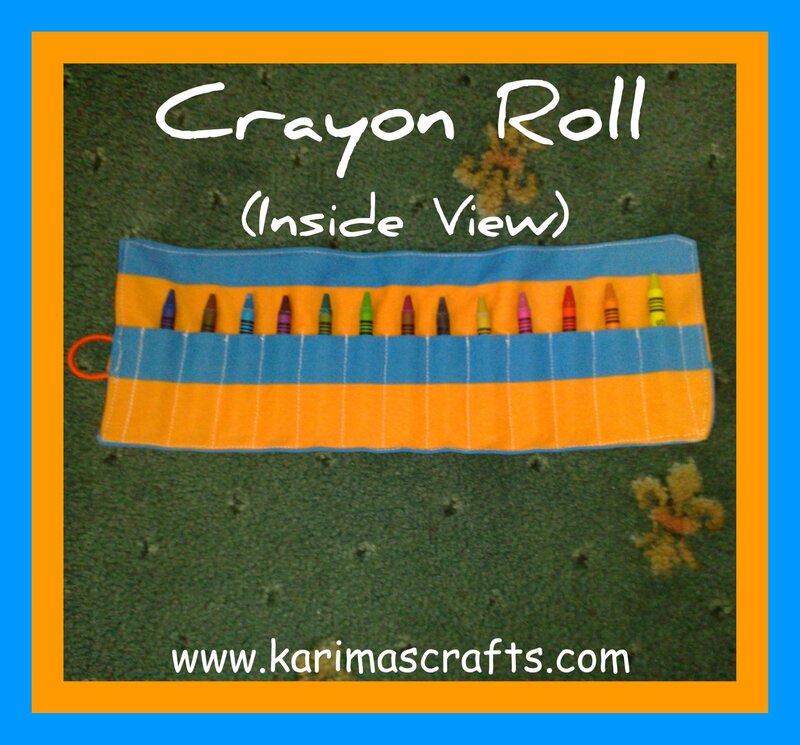 3) I marked with pins (or use pen) 2 inches spaces where to sew straight lines down to make the individual crayon pockets. Sew on marked lines making sure that you stitch extra at the openings. 4) Then place the other piece of fabric (back piece) onto the top of the inside piece, patterns facing each other (You will be turning this inside out). See photograph below. 5) Then sew around all the edges, leaving a gap to turn inside out. (I left a gap at one of the short sides, so to place elastic in afterwards. 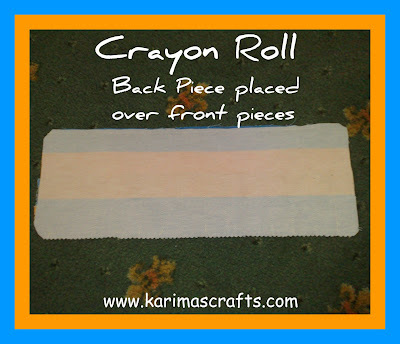 6) Turn the fabric inside out, then iron all edges flat. 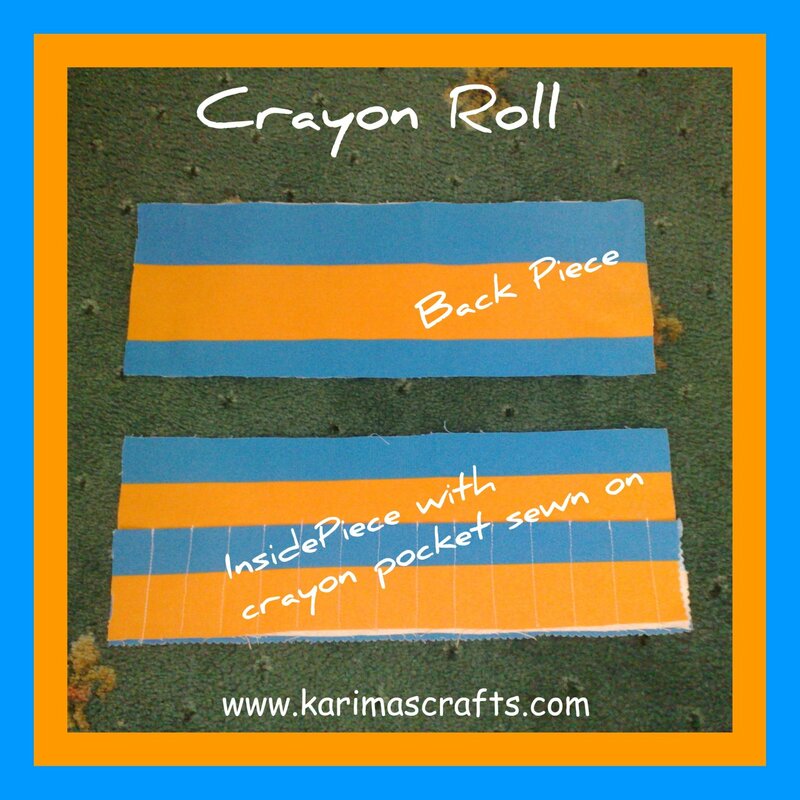 Place an elastic band into the space which was open for turning, then stitch all around the fabric edge, securing fabric. Now you have a lovely gift for some lucky child! This was actually much easier than I thought, and took under and hour to complete. I will definitely be making these again. 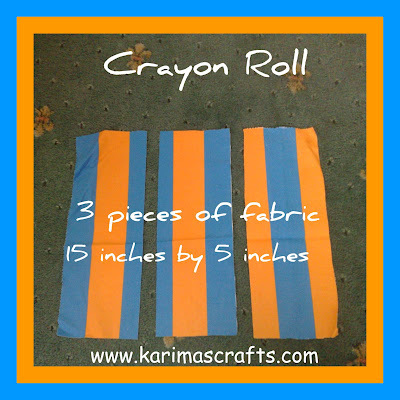 It is a great way to use up scraps, I used the same fabric for this tutorial, but you can mix and match the fabrics. Keep it up your cute blog,wish you more n more success..thanks for the follow I m following you now!!! Hi,visiting from the Hop a Little Tuesday. I'm now following your blog and have also clicked like on your FB page as "Kara Hara". I would love if you could return the favor. 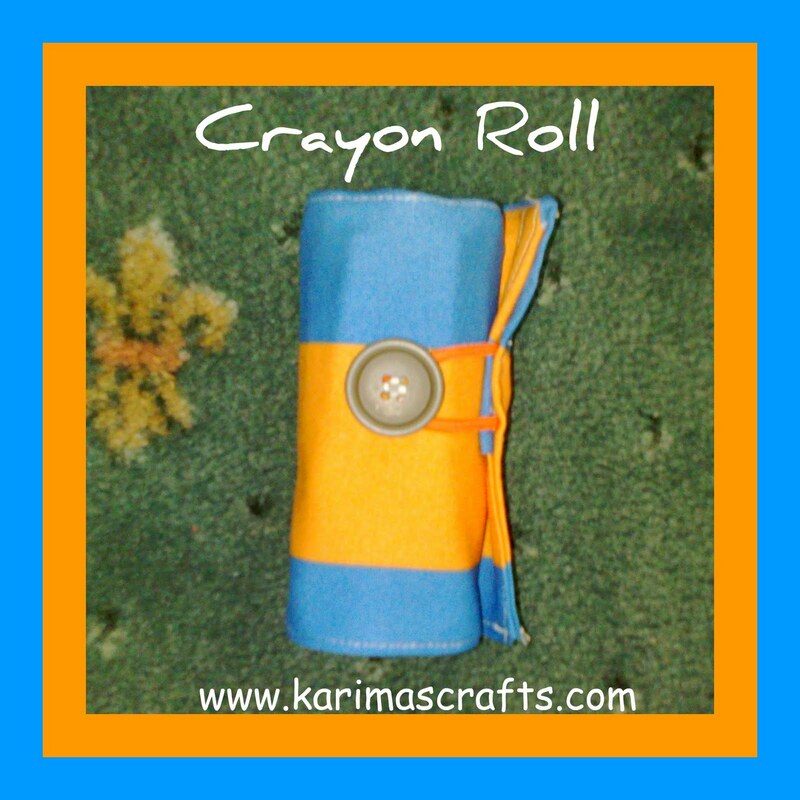 I love this Karima, thanks for checking out my blog! I LOVE that you link up on Tip Junkie for Tip me Tuesday! 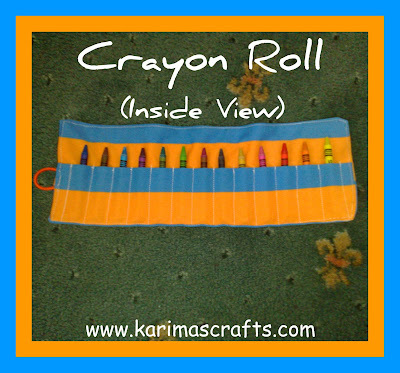 My sister made me a crayon roll (well, she made it for my kids), and it's fabulous, but it ties. I like the button better. Hi! 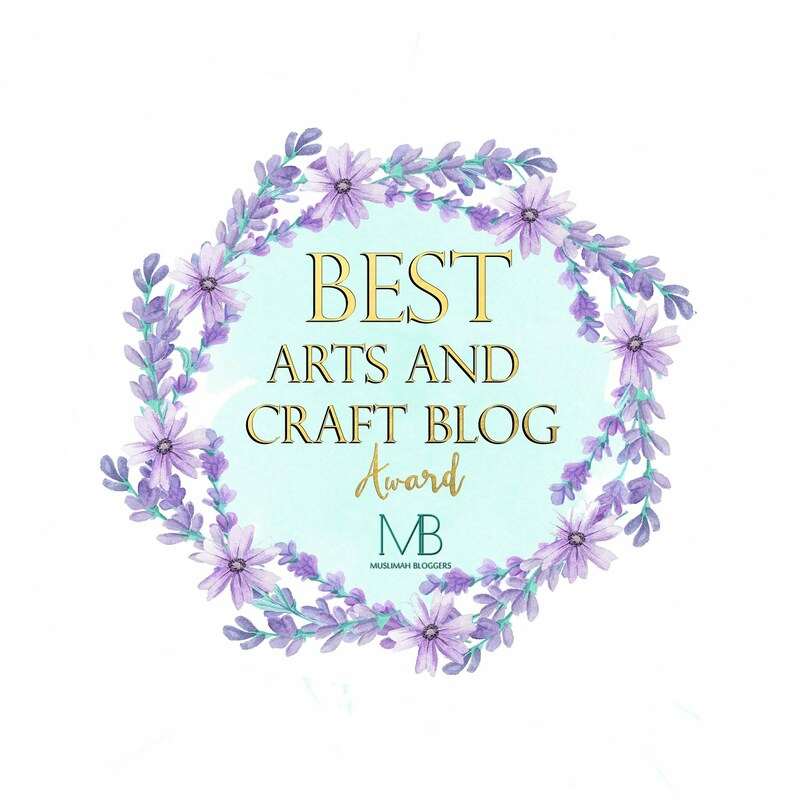 Following you from the Fab Friends Thursday blog hop! Hope you visit My Cajun blog and return the follow! LOVE this! I want to learn how to sew soo badly. I'm following you back now. Thanks for the visit! I have a blog hop called Memory Mondays that I hope you can come join sometime! I consider it a good way to start off the week.. taking a stroll down memory lane to something that we are excited to remember and share! Although I will admit that I'm a little bias. =) Hope to see you there! Thanks for the follow...following you now too!